Niti Aayog CEO, Amitabh Kant said if Indian government wants sustainable and scalable growth, it needs to challenge the states on real time basis. “If we want development in important sectors like health and education, we need to pose a challenge for the states and assess their performance on real time basis. 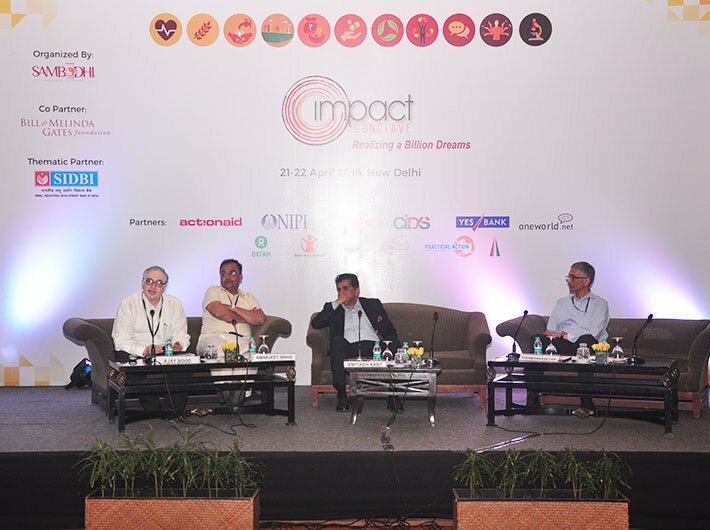 Public should also have access to this kind of system so that they know what is happening,” he said addressing Impact Conclave 2016 in Delhi on Friday. He further added that while challenging the states is important, it is also vital to support them at the same time. “In our country, implementation is the problem. We need execution of the programmes at the grassroots level,” Kant said. Secretary, ministry of drinking water and sanitation, Parameshwaran Iyer, said that introducing incentives to deliver will definitely help in scaling up the growth. “Linking disbursements to performance with credible verification is the key to have scalable and sustainable programs. It is also important to make sure that money goes only to those who performed,” Iyer said. The session also focused on enablers that would help bring about developmental change in the country. Kant said that the use of technology, introducing bank accounts and the ability to exploit mass communications mediums is important for sustainable and scalable growth. “Developmental initiatives can only be scaled up by ensuring forward and backward linkages. India must challenge the world at large to come up with solutions to its developmental challenges,” he said. He further said that the government needs to start small with pilot projects. “There is a need to first plan effective pilot projects, monitor them and then scale them up from one village to two or five. This is how the movement will spread. When the initiative brings development, people themselves start asking for it,” Kant said. The two-day conference was attended by top bureaucrats, various civil society organizations, policy advocates and academicians.